The first Voodoo Doughnuts on the east coast is open for business at Universal Studios City Walk, Orlando! I’ve been by there a few times and the lines have been crazy, especially on their first few days. I haven’t had the chance to try anything yet, but it all looks really good. I love their giant doughnut throne they added, which is an amalgamation of all their different and unique doughnut creations. I had to wait about 5 minutes to get this photo because there were so many people getting in an out of the chair for a photo op. The Main Street Bakery Cinnamon Bun is a sore spot for some folks, specifically where the two worlds of Cinnamon Bun aficionados and die hard Disney fans collide. I’d draw a Venn diagram but I’m sure you got the picture. It might be a small portion of people but you’ll come across one eventually – like me! Frankly, I would have thought there would be more die hard CB fans (I call them CBs for short), after all you’ve got your Dole Whip people, your Turkey Leg people, Churro people, and Mickey Ice Cream people, etc. My point in posting today is that I have finally found a cinnamon bun that rivals the Main Street Bakery’s CB. No, it isn’t the one at Gaston’s – which is wretched and dry (plus it is maple – ew). I’ve found what I was looking for at an Amish Bakery in Sarasota, and it was someplace we’ve been going to for years. The place is called Der Dutchman and it’s a bit of a drive. They are popular place in the local area, they have a full service restaurant and buffet, plus a huge gift shop and bakery. Der Dutchman is making cinnamon buns with both maple and vanilla glaze, and they are making them in various shapes and sizes. They offer them in 2 pack large rectangle (most similar to the Main Street original in size and shape), and a 4 pack large round, and 6 pack small, all with various icing. Some packs are all maple, or all vanilla, and some have both. Their prices are great too. But the best thing about them is that they got the consistency right. I like to heat up my CB in the microwave for about 30 seconds to get the bun warmed up and icing slightly melted. For those who LOVE icing, those who always wanted extra icing, the good news is that Der Dutchman really slathers it on thick, there is so much icing you probably can’t even finish it. My trick is to heat it, let the extra icing roll off, and then eat it. Whatever rolls off I leave on my plate, I can’t even finish it. If you are making a drive all the way to Sarasota, FL, be sure to call them first to see if they have it, because they often sell out of product. I’ve also been told they don’t hold product for people. P.S. They also make the best chocolate cake ever. Chuy’s Tres Leches Cake is worth the trip. I love this dessert. It’s huge, big enough for two to share. It might look heavy, but it tastes light and refreshing. I’ve had tres leches from a few other places, but none compare to Chuy’s. Cost: roughly $7 plus tax and tip. Practically everything on Chuy’s menu is great, my only complaint is that I can’t handle spicy food the way I used to and I can’t eat spicy food later at night. Drinks, desserts, and entertainment provided. All you care to eat desserts, assorted miniature sweets. Boston Cream Shots, Strawberry Shortcake Shots, Mississippi Mud Pies, Orange Valencia Cake, Lemon Cake and more. Meet and Greet with Mickey & Minnie in Patriotic Outfits, complimentary photo. 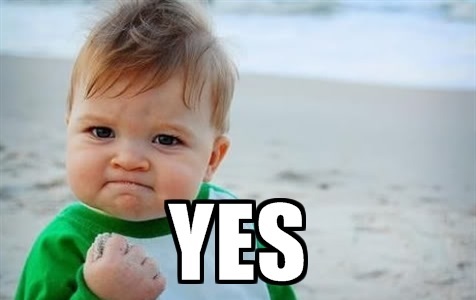 Pepperidge Farm Lemon Milano Cookies? Lemon? These must be new! The grocery store happened to have Pepperidge Farm Milano Cookies on sale for Buy One Get One Free, so we bought two of these Lemon Milano cookie packages, and two dark chocolate. It was such a weird coincidence to see these because my husband was just talking about getting something sweet with lemon flavor. We had tried a Krusteaz Meyer Lemon Pound cake mix not that long ago which he loved. I was a bit skeptical about the mix of lemon and chocolate, but it works surprisingly well; actually I think that I liked them more than the regular dark chocolate. If you enjoy desserts with a bit of lemon flavor, you will probably like these too. I love the delicate yet crisp crunch of Milano cookies, great for nibbling. I hope they keep this flavor around, it’s definitely more interesting than plain chocolate. This is so cute. Love the colors and packaging. I didn’t ask about what flavors they used since I was only taking a photo. Because it is blue, I am guessing maybe blue raspberry or grape? I’m not sure if they have this all year round, this is something I saw when at Magic Kingdom for Mickey’s Not So Scary Halloween Party. 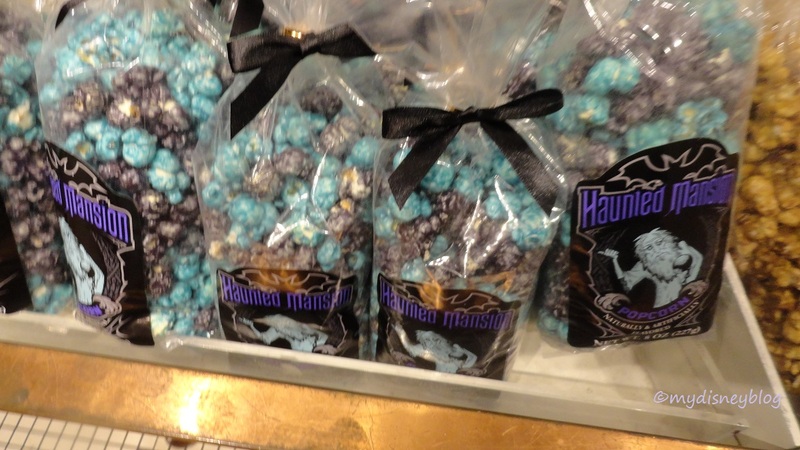 I love anything Haunted Mansion themed. Just an FYI for anyone who also loves the Haunted Mansion, there is some great merchandise in the Memento Mori Shop which is right outside the ride. (Used to be the Smucker’s Jelly Store). Well, part of my first world problems are over. The Keebler Elves have come up with some cookie magic, although I can’t A/B them with Samoas, these are every bit as good as I remember the Samoas being – that I had this year. They are practically identical, they look and taste the same. The Coconut Dreams are awesome. I think they were only $2 or 3 at Walmart. There are 18 cookies per bag/tray. Will I buy Girl Scout cookies next year? Yes, if I happen to stumble upon a Girl Scout sale I will definitely buy a couple boxes. 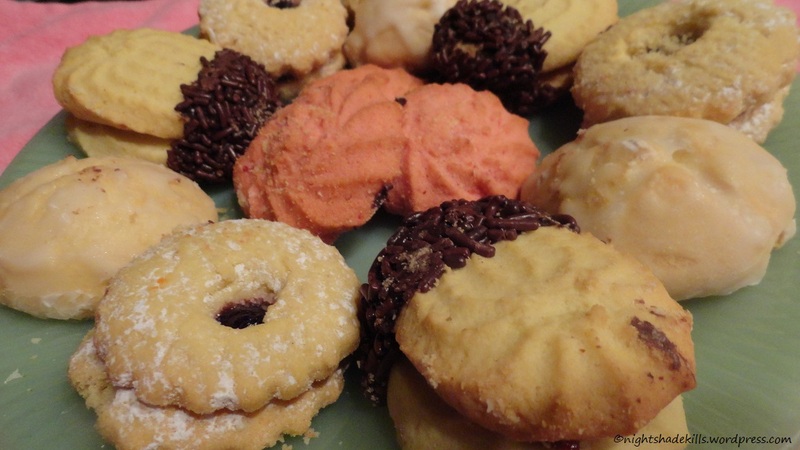 When I was at the Italian bakery, I picked up a dozen cookies for a “cookie party”, you know, like when you finally get a chance to sit down and watch TV and relax after a long week, perfect time for cookies. I get excited about little things, hence calling a plate of cookies a cookie party. I wanted to use a special plate, so I brought out my Grandma’s green Jadeite Jane Ray pattern Fire King plate, it is one of the few things I have of hers, I never use it because I’m worried I’ll break it. It’s pretty old now, they were made in the 1950s. Here we have 3 cherry twist (center, pink), 3 lemon drops (middle, left and right side), 3 raspberry Linzer (bottom left, top right, they have a small hole in them), and 3 raspberry and almond sandwich cookies dipped and sprinkled in chocolate (sprinkled ones). My favorite were the sprinkled ones, they were delicious, the chocolate dipped part with the sprinkled actually tasted like donuts – yum. Lemon drops were good, tart but sweet. The cherry twist lacked cherry taste. The Linzer was okay, very crumbly and quite dry. I’d probably get the sprinkled one and lemon drops again, the others were okay, nothing very special unfortunately. I still had a lot of fun sampling them! I was thinking to get some Stella D’Oro cookies next time, they make a delicious Swiss Fudge drop cookie. Their cookies are generally dry, like you would imagine to go with coffee or tea service, or for breakfast. I haven’t found a recipe I like for the crisp topping. 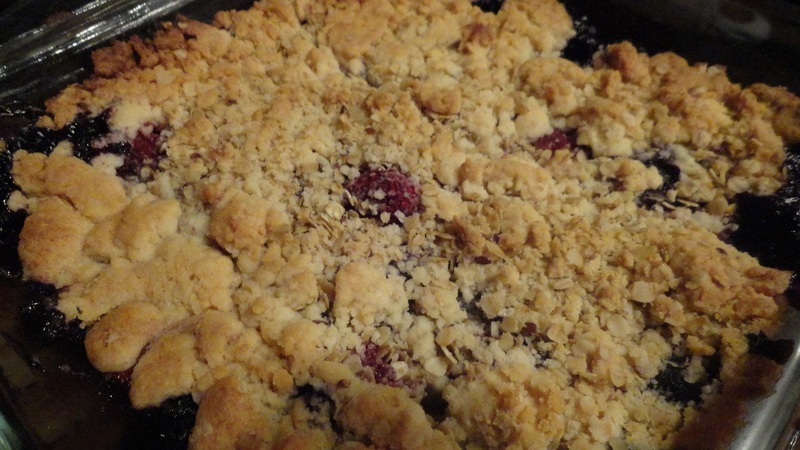 I’ve been trying different variations of baked fruit with pastry topping, and so far this seems to be the best yet. It’s just been a series of trial and error batches. A previous version I made had a biscuit like topping without oats, which was okay, but not what I was going for. The family is usually enthusiastic enough to eat whatever I make, thankfully they aren’t as picky as me. For this batch, I used two pouches of Publix Greenwise Fruit, 1 bag of Mixed Berries, 1 bag of Blueberries. A light sprinkling of brown sugar over the berries, about 2-3 tablespoons. The topping I made here was made from Bisquick dry mix for the flour portion, 1 stick of butter, 1 pack of oats, and about 1/3 cup sugar. I made sure to add enough Bisquick to make it crumbly, I could tell I started out with too little flour, the finished mixture before baking was like the consistency of wet sand. I used an individual breakfast sized pouch of oats. 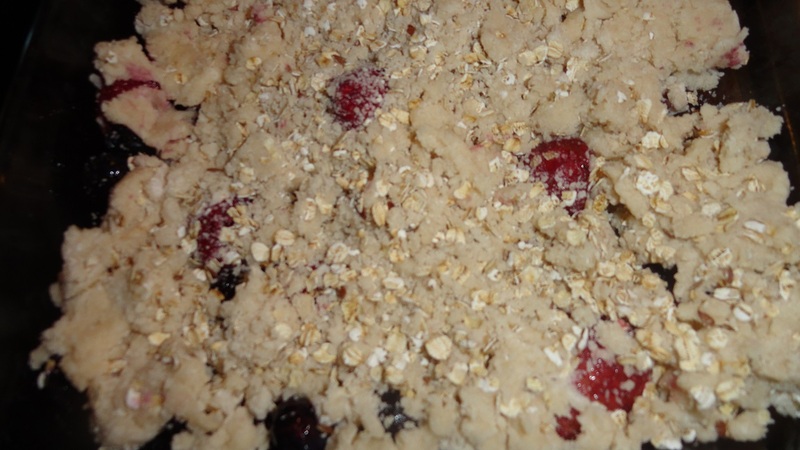 I love oats in baked desserts like this, I also love oatmeal cookies. If the topping mixture is too wet i.e. too much butter vs. flour, it will sink and melt down into the fruit while it cooks. I didn’t want it to turn out like pie crust either. Baked it at 350 degrees for about 30 minutes, until topping was golden brown. I thought it was definitely the best one so far, and my husband said that it tasted better the next day, he liked it better cold right out of the fridge. Next batch probably will be peach. Yum. I love the taste of apple pie filling, but I don’t have the time or desire to make pie. 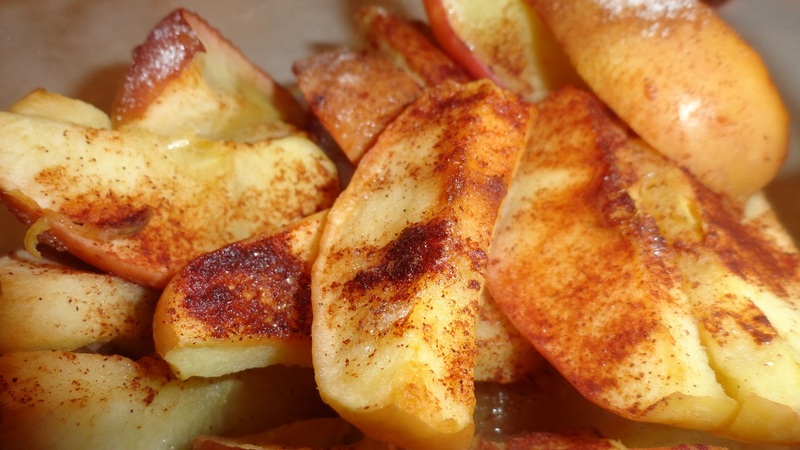 When I am in the mood for apples, I’ll make a quick batch of easy to make cinnamon apples. For what is pictured above, I washed and cut two apples with an apple slicer, put them into a microwaveable Pyrex bowl, sprinkled about 2-3 tablespoons of regular white sugar, and then covered with some cinnamon. Put in the microwave for 5 minutes and set them aside to cool. I left the skins on, but you could peel the apples if you so desire. Honestly, this is really a healthy treat (if you don’t add butter), you don’t really even need sugar, most apples tend to be sweet enough on their own, the sugar kind of makes a little syrup in the bottom of the bowl along with the apple juice. Variations, you can add some butter or butter substitute like Smart Balance, Country Crock, etc, about a tablespoon. You could mix in a dash of vanilla extract. Or if you like the taste of maple syrup add a tablespoon in. You can cook them longer if you like, but they will continue to shrink and get really soft. These are great as a side dish, a steak house we go to used to serve buttered apples as a side, which I used to love. These are also great the next day with breakfast or on pancakes or waffles. You could also serve warm or cold with a scoop of vanilla ice cream.